In order to lower the GL (glycemic load) effect of a meal, combine carbohydrates with protein-rich foods such as seeds, nuts, tofu, beans, lentils or fish. Low-GL foods should be eaten in order to minimize blood sugar dips and to keep blood sugar levels even. If you want to read more about diet and weight loss as well as the latest and best health information, visit authorityhealth.com. 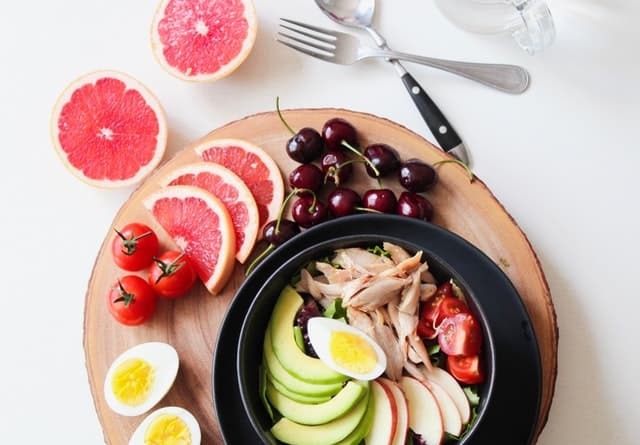 If you want to feel good, make sure to eat a lot of ‘energy nutrients’, such as Iron, Zinc, Calcium, Magnesium, Co-Q as well as C and B vitamins. Root vegetables and dark green leafy vegetables are a good source – think peppers, green beans, spinach, brussels sprouts, broccoli, sweet potatoes, carrots and watercress. Make sure to take a high strength multimineral and multivitamin with significant amounts of chromium, vitamin C and vitamin B. Try to reduce the number of caffeinated drinks, chocolate, cigarettes, coffee and tea you consume. Our dependence on stimulants is one of the leading causes of fatigue and stress and they also take away our energy. Even though they can provide energy in the short term, in the long run, the effect is always detrimental. Include some T’ai Chi or Yoga to your weekly exercise routine. Try to be conscious of your breath and breathe deeply in order to reduce tension. Go to the beach or mountains as often as possible. Go for long walks to make the best of the clean, fresh air. A poor use of time is often a waste of energy and a major source of stress. It is, therefore, important to stay focused in the present in order to truly be effective and efficient without wasting your precious time. Click here to read about how to manage your time wisely. You should ideally get around seven or eight hours of undisturbed sleep each night. This might be a challenge when you have difficulty falling asleep or staying asleep. Luckily there are a few things you can do to improve your sleep. Read more about how to improve your sleep. Lay a chicken breast or fillet of fish, seasoned with herbs and garlic over an onion and a few sliced peppers in a shallow dish. Brush with oil and then grill. Stir-fry the chicken before you add vegetables or do a vegetable stir-fry and add cubed fish during the last few minutes. Smoked mackerel can be served in a wholesome salad by flaking it into pieces and then drizzling the salad with dressing. Put smoked salmon strips on top of an omelet and put it under the grill for a few minutes. Make a delicious vegetarian pasta dish by making a simple sauce – mix homemade tomato sauce with a can of cannellini beans and flavor it with parsley or coriander. Add to whole wheat pasta and enjoy! Accompany dishes with quinoa (perfect when served with curries or sauce-based dishes), brown basmati rice, steamed vegetables, butternut squash or mashed sweet potato. Soups can be made with a wide variety of vegetables and pulses and it is also very quick to make. It takes only around twenty minutes for red lentils to cook and it can be combined with chili flakes, stock, a can of tomatoes, celery and onion for a delicious soup. Some parents are lucky enough to have children who love eating their fruits and veggies, but if you’re the parent of a picky eater, you know how difficult it can be to encourage your child to eat healthily. Thankfully, there are several things that you can do to make it easier and more fun for your little one to eat a healthy, balanced diet. From making food more fun to getting them involved in the choosing and cooking process, here are our top tips. Even a small amount of vegetables is better than none, so if you know that your child will happily eat certain greens, filling their diet up with these is a good option for getting started. Easing your child into eating more vegetables is crucial, since introducing more options into their diet could have the opposite effect. Try different recipes using the vegetables that they are willing to eat to create a diet full of varied, tasty meals. One of the easiest ways to help your child get more vegetables in their diet is to simply hide them in sauces. 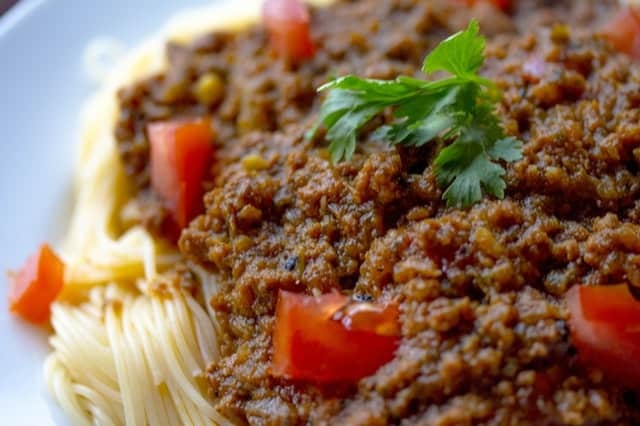 Popular family meal ideas such as spaghetti Bolognese, chilli con carne, shepherds or cottage pie, and stews and soups can all be great for blending hidden vegetables into. This is a great idea if it’s the texture, rather than the taste of the vegetables that your child isn’t too keen on. Another great way to get your little one more excited about eating their veggies is to get them involved in the process of choosing and preparing the food. Allowing them to control which vegetables they would like to try can make it a lot easier when it comes to encouraging them to eat them; children might be more drawn to veggies with a fun shape and colour, and you can play games to encourage them to get more involved. For example, broccoli and cauliflowers can become little trees, or mashed potatoes can be the clouds. You probably won’t have time to do so every day but making healthy and balanced meals full of fun and excitement can really help to encourage your child to eat them. For example, you could work together to create fun and pretty pictures with the food; even a smiley face on the plate can make healthy foods much more appealing to a child. If getting your child to eat a plate that’s predominantly veggies proves a challenge at mealtimes, it can help to spread it out by encouraging healthy snacks. Carrot and cucumber sticks make wonderful snack ideas, and they’re much cheaper than buying traditional snacks, too. You can also incorporate fun dips that you know your child will enjoy to make it easier for them to eat. Getting your child into a habit of eating healthier snacks as early as possible in their life will help to set them up to make healthier choices in the future. If your child attends daycare, it’s a good idea to speak to them about your child’s pickiness in regard to eating vegetables and ask if there is anything that they can do to help encourage them. Most daycares are used to dealing with children who can be fussy about eating veggies and will come up with fun and innovative ways to make getting their five-a-day more enjoyable. Follow the link for a good example of proper child care nutrition. Don’t forget that eating fruits and veggies isn’t the only way for your child to get their five-a-day. If they don’t like the texture, blending all the healthy goodness into a nutritious smoothie can be a great way to encourage them to eat more. There are several simple and easy recipes online that you can follow to create tasty, juicy and healthy drinks for your little one. They won’t even know that veggies are involved! Last of all, don’t give up if your child doesn’t take to eating their fruits and vegetables right away. Studies show that most children will need to try healthy foods multiple times before they start to get used to it as a major part of their diet. In general, it can take between around five and ten tries to get your child used to a new food, so persistence is key. Some children find it easier to get used to new things than others, who may require a little more encouragement. Encouraging your child to eat a healthier diet can take some hard work, but your persistence and patience will pay off. If you found these tips helpful, please let us know. Today’s families have something new in the kitchen that previous generations didn’t — more men involved in meal preparation. 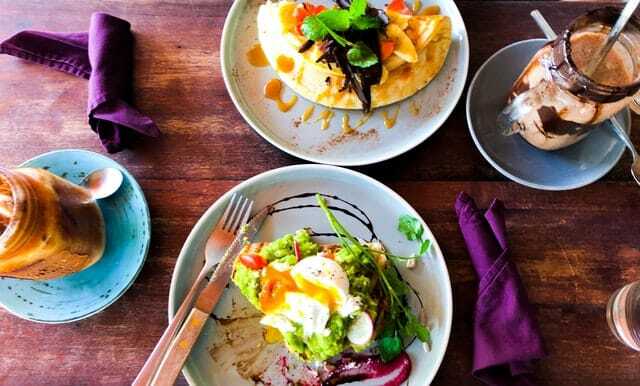 As millennials continue to shatter stereotypes and share household tasks, fathers are using cooking as a way of bonding with their children by making their favorite family meals together. Men are also among the ranks of the top food bloggers, often writing about their cooking adventures with their children. 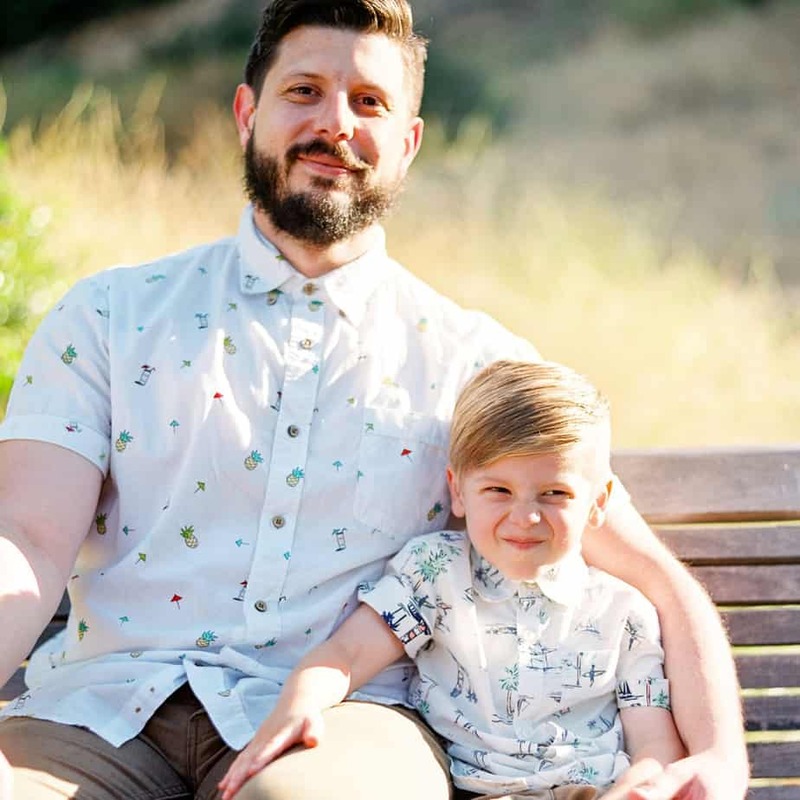 Among them is “Dad with a Pan” Derek Campanile, whose passion for cooking and sharing recipes grew even stronger with the birth of his son. Dads are legendary for loving meat, but swapping in JENNIE-O® turkey for beef makes it easy to modify their favorites into more nutritious choices for the entire family, without sacrificing flavor. Give it a try with this recipe that makes it simple for parents to cook with their kids. Directions for you to make with your child! If you have smaller children, be mindful of having them handle ground turkey. They may inadvertently lick their fingers. Older kids can wear plastic gloves or be reminded to wash their hands after handling turkey. In large bowl, gently combine ground turkey and salt. Shape ground turkey into 8 balls. Cover with plastic. Kids can use their small hands to smash the balls into patties. Have kids make small piles of shredded cheese. Their small hands are great measuring cups. Use about 1/4 – 1/3 cup cheese for each burger. Cook burgers on grill or griddle 12 to 15 minutes or until cooked through. Always cook to well-done 165°F as measured by a meat thermometer. Once burgers are cooked through, place on an aluminum foil-lined baking sheet. Little ones can top the burgers with shredded cheese piles. Pop the cheese-topped burgers under the broiler for 3-5 minutes and cook until the cheese is bubbly. Place burgers on warmed buns. Let kids squeeze on ketchup and mustard. 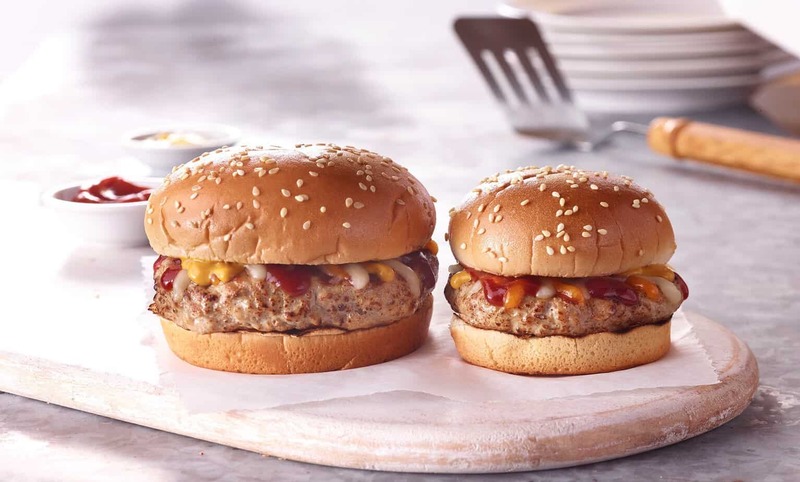 You can make smaller turkey burgers for the kiddos, using slider buns.